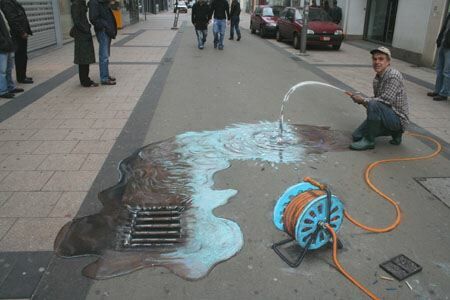 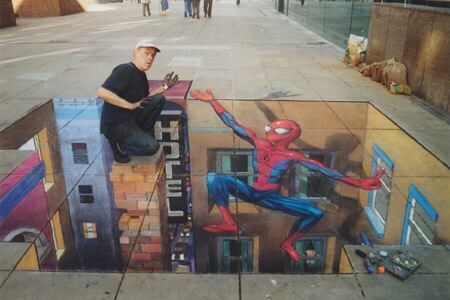 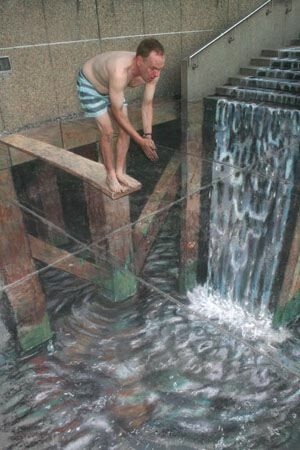 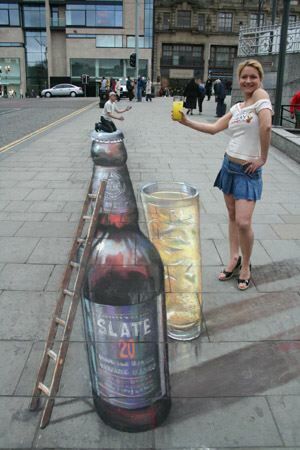 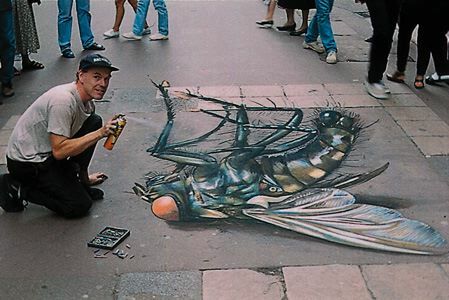 Working primarily with chalk, Julian Beever produces some of the most incredible artwork we’ve come across in a while. 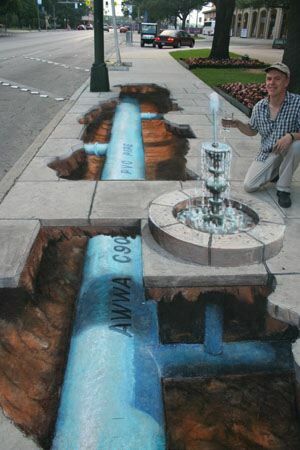 Using a technique known as anamorphosis, Mr. Beever’s sidewalk art, when viewed from the proper perspective, appears to have depth: holes appear in sidewalks, bottles protrude out from the street and waterfalls seem to descend down through the sidewalk surface. 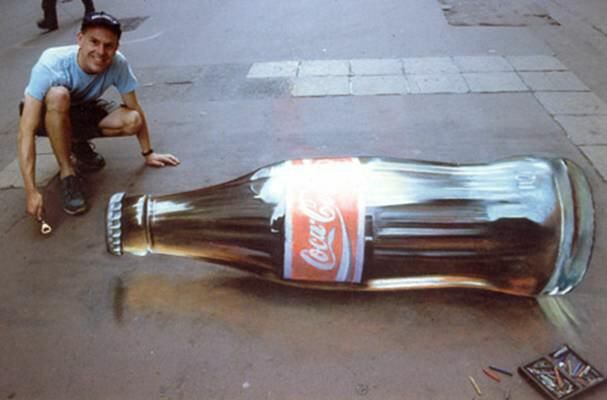 What makes Mr. Beever’s sidewalk art so fascinating is that they are all, in fact, flat, two dimensional drawings. 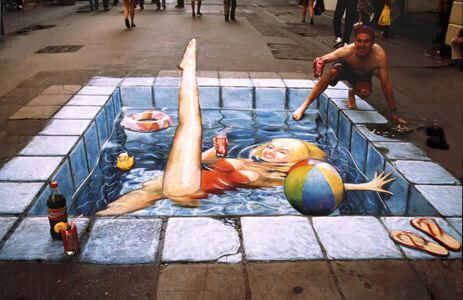 If viewed from other than the intended viewing angle, the drawings don’t make much sense (see the reverse angle of the lady in the small pool and note how her leg stretches all the way down the street). 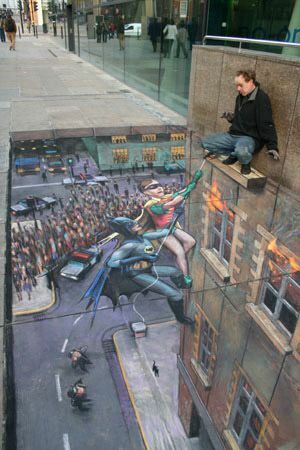 If you’d like to learn more about Julian Beever and his incredible works, you can visit his website here. 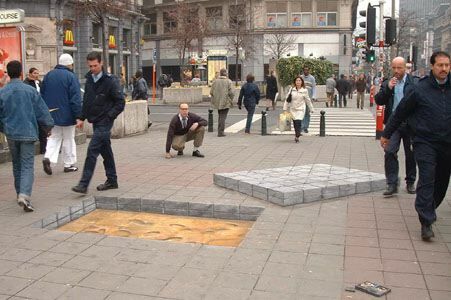 Time spent building robot costume: 37 hours. 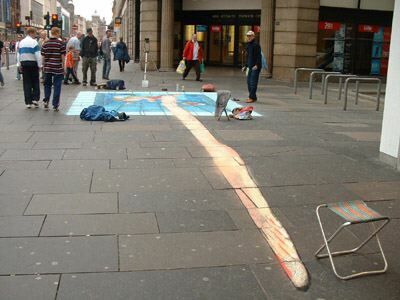 Temperature inside robot costume: 46°C.